With Father's Day soon approaching, we pay tribute to those that taught us how to fish, especially our Father's or Grandfathers. Chase Aulidge is one such individual that learnt how to fish from his Dad and spent many of his early years on the water. Chase Aulidge, Rod Glove Pro Staff, signed his first major sponsor The Strike King Lure Company at the age of 12 years old which allowed him to fish the FLW Opens on Kentucky Lake, his home grounds. Robert or "Bobby" Aulidge was a tournament angler when Chase was young and he remembers how his Dad competed and took to the stage in many of the events. It was a diagnosis of spinal stenosis that was a turning point for Bobby Aulidge and he had no choice but to give up on his passion of tournament angling. Filling those shoes, was Chase who saw his Dad's health deteriorate and decided to follow in his Father's footsteps by fishing his first tournaments at only 12 years of age. His Dad has been his coach, teaching him all of the techniques and tips to catch the big fish. Chase fishes hard all through the February to October and in the fall he spends time at the fishing trade shows, working the booths for his sponsors and has had the opportunity to work alongside Randy Howell. Chase has worked hard both on and off the water and not only keeps a job but attends Bethel University, where he is in his last year of a Business Degree. He has his own boat a Stratos with a Yamaha 200hp and fishes as an angler in both the BASS and FLW Collegiate Series. He is fortunate to have partnered with Dixon Graphics as a sponsor and he was able to get his boat and truck vinyl wrapped showcasing his sponsors. 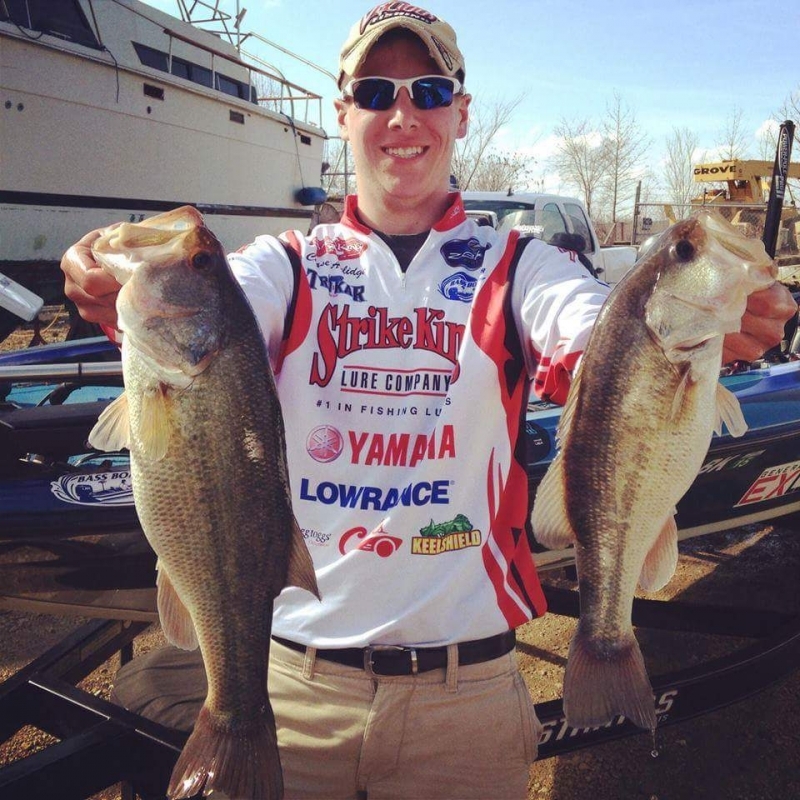 Chase indicated that he just recently got back from Pickwick Lake from the National Championship. He indicated that he had done quite well the year prior but this year was the absolute reverse. Those that had competed at a top level found themselves at the bottom and those previously on the bottom found themselves at the top of the leaderboard. Through hard work and determination, Chase's dream once he completes his education is to become a Professional Tournament Angler and to fish the FLW and Bassmaster Series of tournaments. Having participated in some many events now, Chase understands what it really takes to make it in the industry. His plans this season are to fish the BSL Opens on Kentucky Lake, Big Bass tournaments and the Heartland Anglers. Chase's advise to anglers hoping to become a tournament angler is to "Always try to make a name for yourself both in and outside of fishing. You never know who is watching you".